서윤암, 윤상후, 김영아,(2019).역할극을 활용한 간호실습교육의 효과.한국데이터정보과학회지,30(2),309-321. 본 연구의 목적은 국내에서 수행된 역할극을 활용한 간호실습교육의 현황을 파악하고 교육의 효과를 알아보기 위함이다. 2018년 4월까지 보고된 국내학위 및 학술지 논문 중, 13편의 실험연구를 선별하여 최종 분석하였다. 모든 연구의 설계는 비동등성 대조군전후실험설계였다. 연구대상자는 간호사 단독대상연구가 1편, 간호사와 의사를 같이 모집한 연구가 1펴느 간호학과 및 사회복지학과 대학생을 대상으로 1편, 간호학과 대학생만을 대상으로 10편이 수행되었다. 표본크기는 실험군 20~136명 (평균 46.1), 대조군 20~136명 (평균 45.2)이었고, 역할극 시나리오의 수는 1~8개 (평균 3.6) 였다. 가장 많이 측정된 종속변수 6가지는 대인관계능력, 의사소통기술, 문제해결능력, 자기주도적 학습능력, 자기효능감, 직무만족도였다. 자기주도적 학습능력과 직무만족도를 제외한 4가지 종속변수는 메타분석 결과 모두 통계적으로 유의미한 큰 수준의 효과가 확인되었다. 본 연구는 임상간호실습교육을 위한 사용하는 다양한 시뮬레이션 실습방법 중 하나인 역할극을 활용한 간호실습교육의 효과를 확인하였다. 이는 최적의 간호실습교육을 구성하기 위한 구체적인 근거기반자료로 활용될 수 있을 것이다. 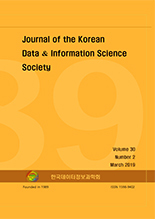 This study is to identify the current status of nursing practice education using role-plays performed in Korea and to identify the effectiveness of education. Thirteen experimental studies were finally analyzed out of the reported journal articles and unpublished thesis by April 2018. The design of all studies was non-equivalent control group pre-post test design. The study participants studied only nurses, recruited nurses and doctors together, studied nursing and social welfare for college students, and conducted 10 for nursing college students. The sample size was 20~136 people (mean: 46.1) and 20~136 controls (mean: 45.2), and the number of role-play scenarios was 1~8 (mean: 3.6). The six most frequently measured dependent variables were interpersonal ability, communication skill, problem-solving ability, self-directed learning ability, self-efficacy, and job satisfaction. The meta-analysis showed statistically significant high-level effect sizes on the four dependent variables excluding self-directed learning ability and job satisfaction. This study identified the effects of nursing practice education using role-play as one of the more popular methods of simulated practical education. This could be used as a basis for the evidence necessary to optimize the effectiveness of nursing practice education.